Luna Bars are a type of nutrition bar that was created by women for women. The brand is made by Clif Bar & Company, which makes a larger lineup of health bars. These bars are said to be designed for women since the ingredients were made to fit the nutritional needs of women. Energy and nutrition bars are meant to be healthy. And they’re supposed to be designed to give you the nutrients in between meals as well as during or after workouts or sporting activities. In this article, we delve deeper into Luna Bars to see whether or not they’re healthy options. Are Luna Bars Good for You? Before we can get into understanding whether or not these energy bars are healthy or not, we need a to learn more about it and what it actually contains and offers. Luna Bars come in two main types. One is the original bar and the other is Luna Protein. The latter, as its label indicates, contains more protein making it ideal for women who are active. 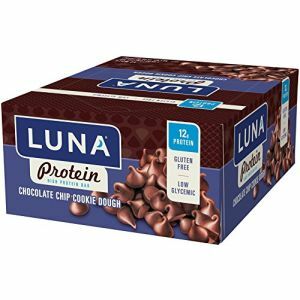 For both the original Luna Bar and the Protein version, the brand offers a variety of flavors. The original for example is available in 13 flavors including, blueberry bliss, chocolate peppermint stick and s’mores. Meanwhile, Luna Protein comes in 6 flavors. These include berry Greek yogurt, chocolate salted caramel and mint chocolate chip. Luna Bars are designed with a specific audience in mind. This is the active and health conscious woman. Clif Bar, the makers of Luna, has specifically tailored the Luna product line to account for the needs of busy individuals however, not just women. This means that men can enjoy it as well even if it’s geared towards women. Each bar contains a healthy mix of nutrients suitable for anyone. Luna bars are consistently rated as being one of the top tasting nutritional products on the market. And, they are made of top quality ingredients. 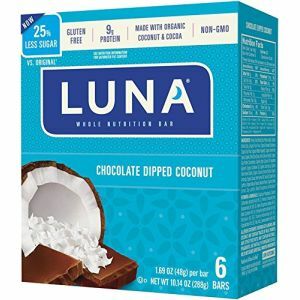 When it comes to a post workout supplement or a quick snack, the Luna Bar offers a healthy choice for any active adult. 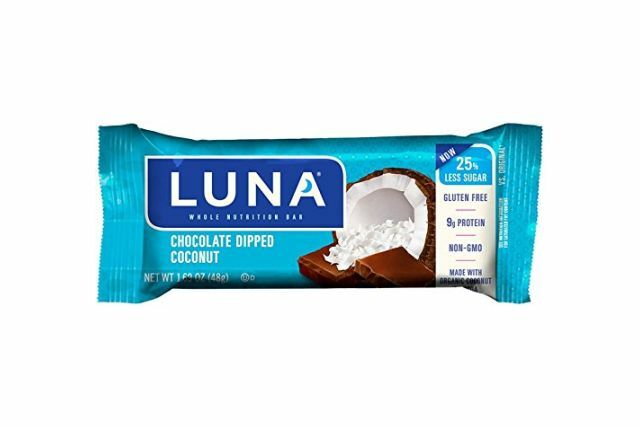 The Luna Bar line is guaranteed to be gluten free. And, it is also been certified kosher by Kof-K, which is an organization that provides Kosher certification for products. The staple of each bar is the certified organic oats. While the majority of the main ingredients are produced organically, not all of the ingredients are organic. Luna Bar uses Rainforest Alliance Certified Palm Kernel Oil, meaning that one of their primary and most unsustainably produced ingredients has been sourced from farms who take care to insure that sustainable environmental and social standards are upheld. The quality of the ingredients used to produce Luna Bars create a functional and healthy supplement. Though each flavor varies slightly in its nutritional value, each Luna Bar provides a fairly consistent range of essential nutrients. High quality proteins and an assortment of essential vitamins give the bar a well-rounded nutritional rating. And 5 grams of sugar. This bar is also designed to be low glycemic according to the manufacturer. When it comes to protein, the standard Luna bars rely on a blend of Soy Protein Isolate and Organic Oats. Each bar contains between 7 and 12 grams of protein, depending on the variety. The original bar has the lower amount, while the Protein version the higher protein content. Protein is key in rebuilding and maintaining a healthy body. Not only does a body need high quality protein to recover, the immune system needs ample amounts of protein to fight diseases. 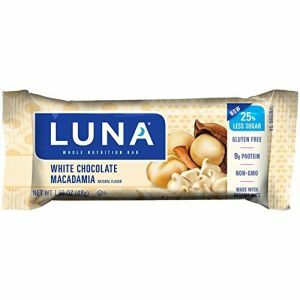 With a moderate serving of high-quality protein, the Luna Bar offers a healthy snack. However, the Luna Bar is not intended to replace a well-balanced meal. Regardless of the flavor, Luna bars contain 3 to 4 grams of fiber per serving. Most of the fiber content is derived from the chicory plant in the form of inulin. But, additional fiber can be found in the oats, fruits, flaxseed and nuts. Consisting of both soluble and insoluble fibers, the Luna Bar can help to regulate and slow digestion, aiding in nutrient uptake. This is because fiber is a key component to any high protein diet. And, it is essential to maintaining a healthy digestive system. Luna Bars offer a wide range of vitamins and minerals. In particular, its range of B-Vitamins help promote healthy cell growth. A good dose of Vitamin C keeps the immune system working efficiently while a steady amount of Vitamin A can promote healthier eyes. With special consideration paid to its mineral content, the Luna Bar provides ample amounts of calcium to promote stronger teeth and bones. Two notable minerals that have specifically high amounts are the calcium and iron. Each bar contains 35% of our daily RDA, as well as 25% of our daily iron requirements. Both calcium and iron are both important minerals women need. If there’s one area of weakness the Luna Bars have is their sugar content. The original Luna Bars contain 5 grams of sugar, whereas Luna Protein bars contain 15 grams of sugar. Both are considerable amounts, considering that the World Health Organization (WHO) recommends that sugar be limited to at most 25 grams (6 teaspoons) daily for an individual with normal BMI (body mass index). This means one original bar easily gives you 20% of this limit, whereas the Protein bar will account for 60% of this limit. In fact, sugar makes up a huge portion of the total carbs for each of the bars. Both exceeding the amount of fiber in them. This is also probably why they taste great, apart from the various flavors. 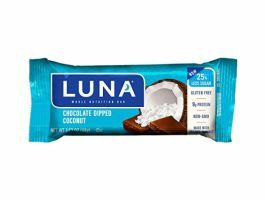 At first glance, the amount of fat in these bars, especially the original Luna Bar may not be too enticing. However, taking to account that it has no trans fat and no cholesterol is a good sign. In addition, more than half of the 8 grams of fat (5.5 grams) comes from polyunsaturated and monounsaturated fat, which are healthy types of fat. This significantly cuts down the unhealthy fat portion to a much smaller figure. Luna Bars, both the original and protein versions, contain a lot of good quality ingredients. They taste great and have tons of nutrients in them. They’re packed with protein and will give you the energy you need to stay active throughout the day. However, their high sugar content means that you shouldn’t have them regularly. We’d recommend skipping the Luna Protein bars despite having lower fat and more protein mainly due to its very high sugar content. The original Luna Bars are much better options. Though they still do have a good amount of sugar in them. This means it’s a good idea to enjoy them moderately instead of having them regularly with your workouts or physical activities.